Insect screens are commonly known by names such as wire mesh, bug screen, fly screen, etc. It is designed to give coverage to the window opening. It is a mesh created by plastic wires and expanded upon a wooden or metal frame. It prevents the entrance of birds, mosquitoes, insects from entering the home without compromising the ventilation and air circulation in the house. Today, many houses have sliding insect screen panels. The use of insect screens was discovered in the USA in 1861 by a Gilbert, Bennet, and Company, which manufactured wire mesh sieves for processing food products. By 1900 it gained patent as a protective device from insect entry in homes. The widespread usage of insect screens eliminated parasitic diseases in the 1950s. The drawback of the insect screen is that it does not protect from intruders or large wild animals. The common materials used for the mesh window screens in insect screen factory are aluminum and steel. Aluminum makes the screening less visible because of its charcoal black color. Steel is economical and does not get dented when force is applied. However, it is more opaque and translucent than aluminum. The use of dark aluminum gives the better exterior of the window and enhances its architectural effect. Today, those who can afford to use stainless steel insect screens, which are expensive but give longer service than aluminum . It is more resistant to denting and has anti-corrosive properties. This type of insect screens is seen at homes closer to coastal regions. 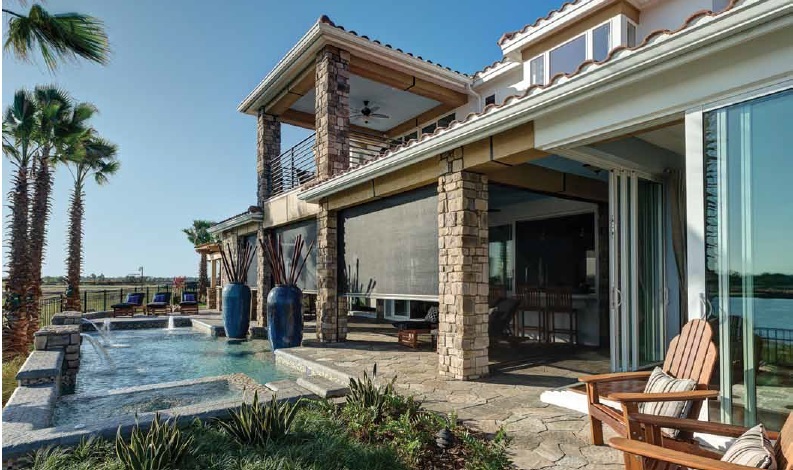 Steel made solar insect screens though reduce visibility but provide UV protection by implementing the use of thick mesh strands and closely woven mesh. This prevents visibility for outside viewers. Insect screens designs with finer mesh have also been created to control allergic reactions by preventing the entry of pollen grains and allergens in the house. These days “do it yourself” insect screens and their frames are available widely at hardware stores. It offers cooling effects during the summer and allows energy savings from air conditioners. Insect screen has wide usage for both commercials as well as residential purposes. It is designed with superior technology to provide a great amount of insect control. Stainless steel insect screen is completely corrosion resistant and consists of durable screen material. It also offers increased visibility and maximizes the outer view making it a sharp material for various screening purposes. It can also be a great option for areas where you prepare food because of its corrosion resistant property. Your doors, porches, and windows can become extremely durable when you have a stainless steel insect screen with you. Providing high strength and visibility insect control can be quite easy with an apt and well-designed insect screen. Enjoy the uninterrupted visibility and stay away from insects and bugs with insect screen.